The right tool for searing, sauteing, simmering, braising, bakind roasting, frying. 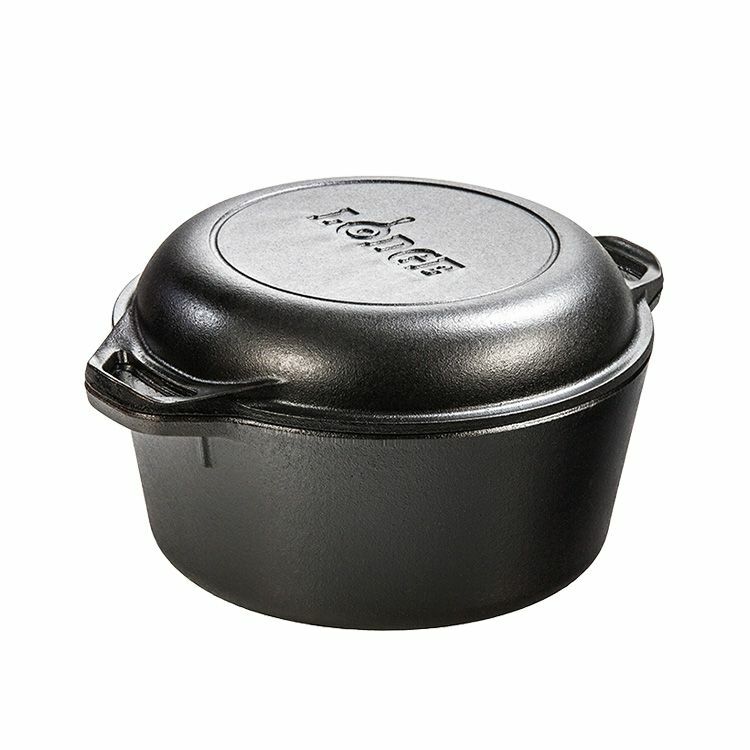 Double Dutch Oven 5 Quart Since 1896, the Lodge family has been casting premium iron cookware at our Tennessee foundry. As the sole American manufacturer of cast iron cookware, we are proud to carry on the legacy started by our great grandfather Joseph Lodge. We don`t just make products; we make heirlooms that bring people together for generations. At home in the backyard, the backwoods, or the ballgame. Brutally tough for decades of cooking. Double Dutch Oven 5 Quart is rated 4.9 out of 5 by 39. Rated 5 out of 5 by Harold from I think it is incredible at broiling and tenderizing.... I think it is incredible at broiling and tenderizing. Rated 5 out of 5 by Dennis from Perfect! Well made and made in America!... Perfect! Well made and made in America! Rated 5 out of 5 by Jordie from Just like the one my mom had. Love it!!... Just like the one my mom had. Love it! !